Poker-faced gambler Richard Lancaster prepares to take part in the annual Festival of Poker at the SkyCity Casino in Auckland, his home town. 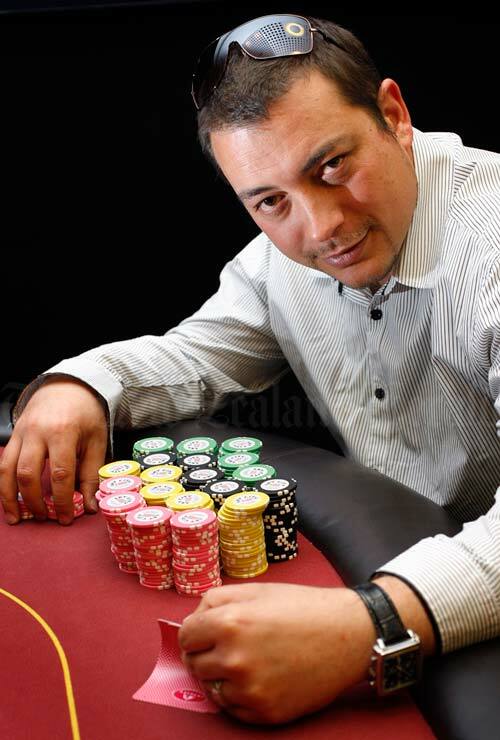 By 2009, when this photo was taken, Lancaster had been playing poker competitively for five years under the nickname 'Richiebro'. During the festival he won more than $40,000 playing No Limit Hold 'Em, his favourite form of poker, for fifth place in the tournament.